We started collecting folk art when travelling in Latin America more than 30 years ago, and soon opened a shop in Quito selling folk art and handicrafts from the artists we have personally met in Ecuador, Peru, Colombia and other countries across South-America. What started like as a hobby evolved into our main occupation. In the course of time we have expanded our collection significantly to create a retail and cultural experience like no other in Ecuador. Thanks for visiting our website! We are looking forward to seeing you in our shop in the Mariscal district in Quito Ecuador. Panama Hats are Ecuadorian! We carry high quality Panama Hats made in the Azuay province of Ecuador. These hats are handmade from "paja toquilla" a natural fibre cultivated in the Andes. This accessory adds sophistication to any attire and has become a fashion staple throughout the world. 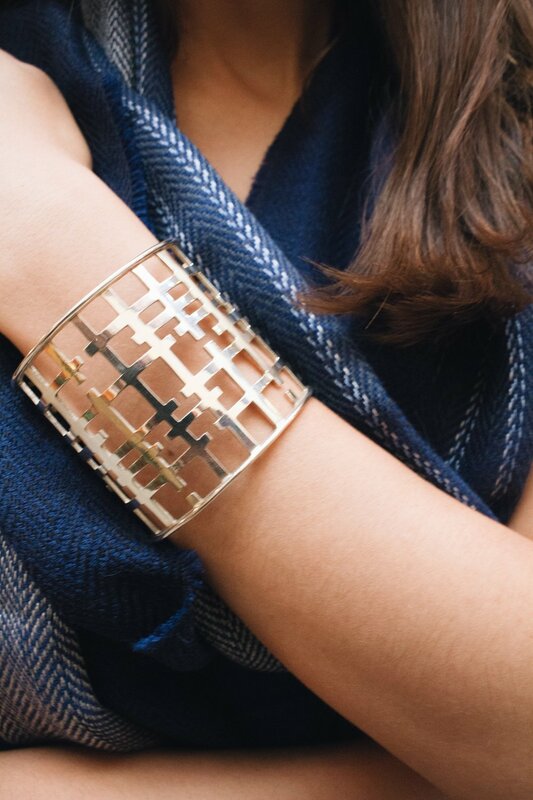 Our Jewelry collection is all hand worked by skilled artisans in Ecuador, Peru and Mexico. All our pieces are 925 sterling silver or higher, combined with both precious and semi precious stones. With designs inspired by nature, our ancestry and contemporary styles, this collection offers something for all tastes. We have the pleasure of working with some of Ecuador's most renowned sculptors. Tinta pieces, bronze bathed in silver with semi precious stones, are a Galeria Latina staple. Designs are inspired by the rich population of birds in Ecuador. These make fine household decor pieces. Galeria Latina offers the finest line of 100% alpaca clothing and accessories in the country. An elegant variety of designs, colors and textiles which not only represent the latest fashion trends but also the highest quality of alpaca production in South America. Within the realm of folk art we showcase our collection of masks and baskets made by the Wounaan and Embera indigenous people of Panama. These Panama baskets also known as Hösig Di and are wonderful interior decoration objects, which can be perfectly combined with other textiles to decorate rooms and homes. We are very proud to have a large collection of Maximo Laura tapestries in our store here in Quito. The works of the master textile artist definitively takes wall hangings inspired by Latin American motives to the next level. 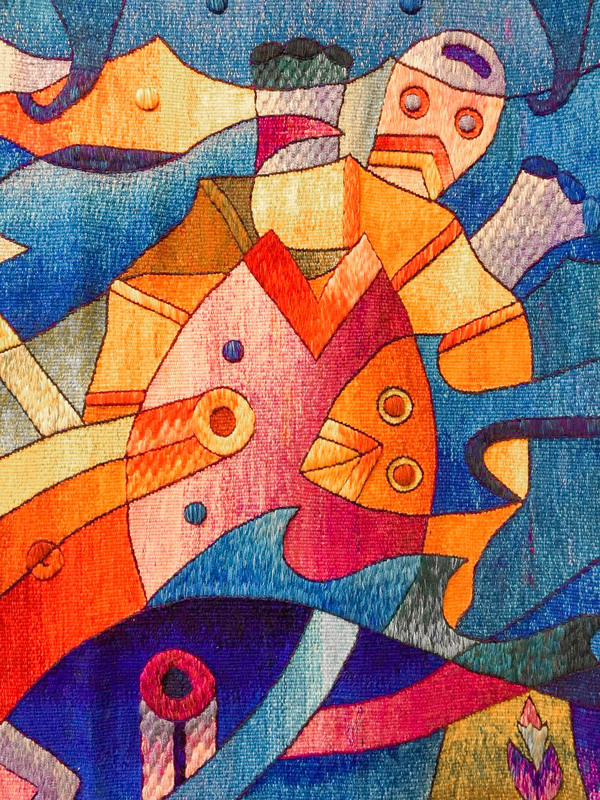 If you like the tapestry designed by Maximo Laura, you will also be fond of our natural dyed weavings from various artists including the famous Peruvian Edmundo Huarancca Gutierrez, whose colorful works can bring warmth and ambiance to every home. Everything about Galeria Latina encompasses the beauty and versatility of Latin American culture. From our broad array of unique and elegant products representing Central and South America to our colorful space and even our professional and friendly staff. Galeria Latina offers a one-of-a-kind retail experience. Sign up with your email address to receive exclusive information about new products, collections, and discounts.